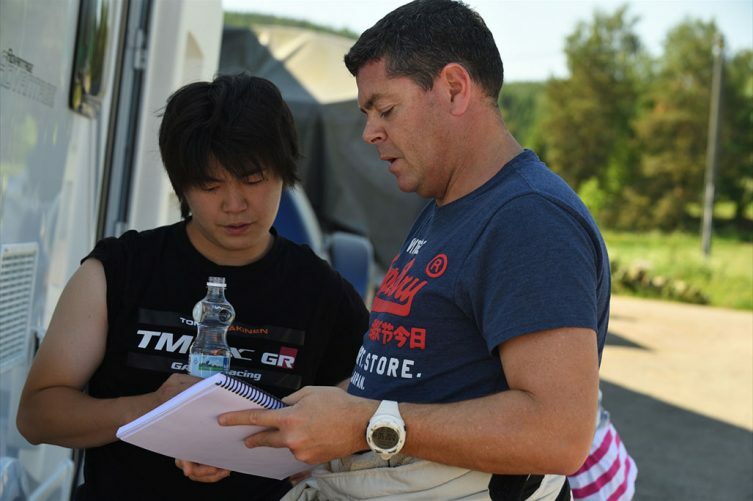 PHOTO: Hiroki Arai (left) and Glenn Macneall are ready to tackle their first WRC round together in Finland. AUSTRALIAN co-driver Glenn Macneall will take another step in his growing international career when he contests the Neste Rally Finland World Rally Championship event for a Toyota factory-owned team next week. Perth-based Macneall will call pacenotes for Japanese driver Hiroki Arai in a Ford Fiesta R5 run by the European-based Toyota Gazoo Racing and managed by former World Champion Tommi Mäkinen. Arai, 22-year-old son of one of his country’s greatest rally drivers, Toshi Arai, is part of the Toyota Gazoo Racing Challenge Program. Macneall was Toshi’s WRC co-driver in 2001 and 2008-9. The experienced Macneall is assisting the development program, which could see Arai progress ultimately to Toyota’s planned WRC team – and the Australian is hoping to go with him all the way. The pair and a second Japanese-driven crew has been contesting the Finnish national series this season, but moved up to the European Championship in Estonia last weekend and will tackle their first WRC round in Finland from 28 July. Arai and Macneall have been working on their pacenote skills, which are critical to any competition success. Estonia was the first event on which Arai had to develop his own pacenotes from start to finish with his Australian mentor. With similar high-speed roads, Estonia was intended to help the Toyota Gazoo drivers prepare for Finland, but it proved to be a tough experience. Arai was running in seventh place until what he said was a small error in the notes brought an end to his rally on the sixth stage. The Fiesta slid wide on a fast right-hander and slammed into ditch, sending the car barrel-rolling down the stage. “I had a problem making pacenotes as I hadn’t been able to evaluate the high speed on such fast roads,” Arai said. Arai and Macneall will undertake more pacenote training and testing in Finland early next week. After Finland, Macneall will resume duty as co-driver to Indian Gaurav Gill in a factory Skoda R5 at the China Rally, round three of the FIA Asia Pacific Rally Championship on 6-7 August. Gill and Macneall are leading the 2016 series after wins in New Zealand and Australia and were the 2013 champions.